Once your order has been taken, your project will be placed in the very safe hands of Janice Pudney, our dedicated in-house Customer Service Manager. Janice has many years experience within the kitchen industry and her role is entirely focused on ensuring that we deliver on our promises made to you. Regal Kitchens is the only independent kitchen company in Essex to have been awarded the prestigious FIRA (Furniture Industry Research Association) Gold Certification for excellence in installation. ‘Regal Care’ has been designed to help give customers one to one tuition on their new Neff appliances. Regal send their home economist, armed with groceries to cook a 3 course meal in the customers brand new kitchen to give them a hand-on experience and show them what their new appliances are capable of. Using our in-house team of highly experienced and professional tradesmen, we will ensure that your kitchen installation and any other associated home improvements you may require (for example, tiling, electrics etc.) are completed to the highest of standards.  At Regal Kitchens we also offer made to measure furniture from our bespoke range for your kitchen, or to extend your chosen style to dining and living areas. And any style, colour and budget! Regal Kitchens offer a kitchen makeover service, to transform your existing kitchen. Our design service puts you in control of the decision-making process whilst allowing you to benefit from our expert guidance and advice regarding the many options available. We have summarised below the steps we would normally recommend in order to help you create your ‘perfect kitchen’. You will receive a warm welcome at either of our showrooms and we’ll be delighted to show you the many styles of kitchens, work surfaces and appliances we have on display. To ensure that we can best help you, we’ll be keen to develop a clear understanding of your needs including what’s on your ‘must have’ and ‘wish’ lists. We’ll also talk you through the design service and anything else you need to know about the company so you can decide whether we’re the right kind of business for you to deal with and entrust with your home improvement. Soon after your showroom visit, we will be pleased to visit you in your home. Here, we will take some measurements and spend some time with you to further understand your needs and preferences so that, together, we can design your perfect kitchen. We will provide you with as much support and guidance as you may need to make a well-informed decision as to which design is the right one for you and your home. As part of our design service, we’ll take you through our multi-level pricing matrix and give you a range of prices based on your preferences. This keeps you completely in control and helps you make fully-informed choices to suit your budget. Our initial design service is provided without cost or any obligation on your part. Following our initial design meeting, and only when you’re happy that Regal is the right kitchen company for you, we’ll continue working on your project together. We will be pleased to consider as many alternative designs as necessary until you are totally happy with your choices. We would then normally ask for a small deposit to cover our costs in relation to any additional design work, although this will be offset against the cost of your order should you subsequently decide to place your custom with us. Prior to work commencing, we will complete a full technical survey of the project to make sure everything you’ve decided upon is both achievable and complies with all the latest regulations for building, gas, electricity and plumbing etc. If you wish, this can take place at the same time as step 3. Once you are happy with all your choices and we’ve agreed your budget and timescale, we’ll ask you to pay a deposit so we can place your order and schedule your project into our installation diary. At this stage, we’ll sit down together and plan all the details in terms of the work to be undertaken as well as the sequence and timing of events. We will prepare an installation schedule outlining when we expect the project to start, what will be happening at each stage of the project and also the anticipated completion date.